In a renewed show of solidarity, the Pharmacists Council of Nigeria (PCN) has congratulated the management of Usmanu Danfodiyo University, Sokoto (UDUSOK) following the successful reaccreditation of its Faculty of Pharmacy. The development came on the heels of an earlier visit to the school by a team of top PCN officials in February this year. In his congratulatory message, Pharm. Elijah Mohammed, registrar of the council, declared that the reaccreditation of UDUSOK brings the number of accredited pharmacy faculties in the country to 18. “As at today, we have 18 accredited faculties of pharmacy across the country and additional five universities are at different stages of the accreditation process. “I will also use this opportunity to encourage the deans of accredited faculties who are yet to apply to please apply for and complete the Pharm.D accreditation process with the Nigerian Universities Commission (NUC),” he said. Mohammed also seized the opportunity to discredit the rumour that the Faculty of Pharmacy, University of Benin (UNIBEN) had failed to make the reaccreditation list. “I want to debunk the rumour making the rounds on social media that UNIBEN Faculty of Pharmacy is not accredited. Please ignore the rumour. The faculty is accredited by both the PCN and the NUC,” he stressed. The PCN registrar further noted that, in the month of February alone, 328 new pharmacists were inducted into the noble profession of Pharmacy. 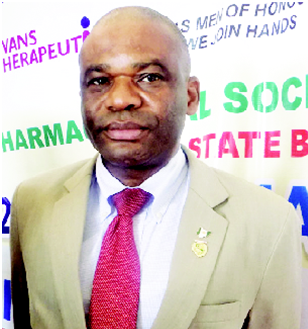 Mohammed however lamented that while the PCN’s effort to bridge the manpower gap is yielding fruit, with steady release of new pharmacists into the system, a new problem is being created. He remarked that the hundreds of pharmacy graduates produced are finding it increasingly difficult to find internship placement. “We therefore, appeal to accredited internship centres to increase their uptake of interns, while we equally call on other licensed pharmaceutical premises to apply for accreditation as training centres. “The PCN, on its part, is making plans to explore private organisations’ support in addressing this challenge. Let me also inform you that the council has forwarded a memo to the minister of health on the adoption of a centralised coordinated internship training programme in council approved centres,” he explained. To this end, the registrar advised all accredited faculties of pharmacy and pharmaceutical sciences to keep to allotted number of intakes, in order not to continuously distort council plans in pharmacy education, training and practice, as regards internship programme.